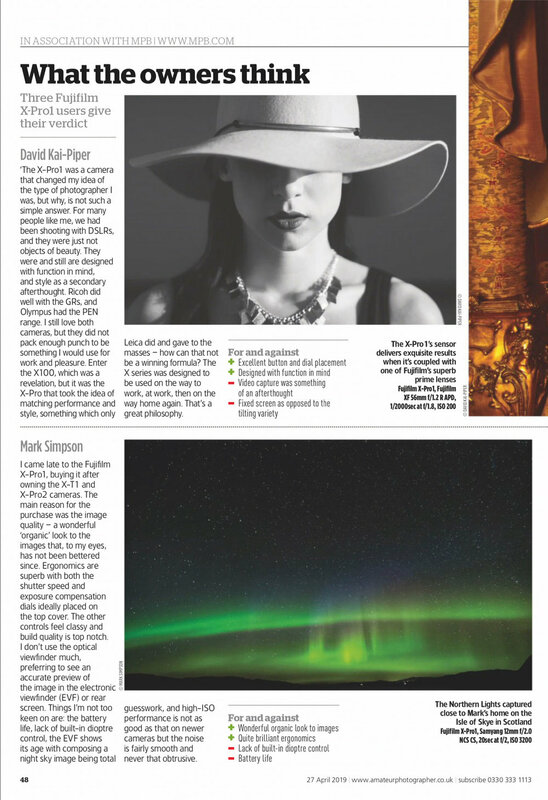 I am really pleased to be featured in the latest Amateur Photographer magazine (dated 27th April 2019). My image of the Northern Lights over the Isle of Skye is used alongside my thoughts on the FujiFilm X-Pro 1 camera in the second-hand classic feature. The magazine is now available in shops if you wish to read the full article. Thanks to Michael Topham at AP.